Comments: Evergreen flowering tree from Australia. Dark green, narrow, lance shaped leaves. 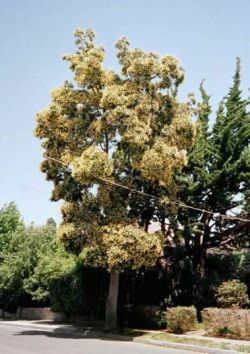 Mature trees grow to 40' with a narrow spread. Bright yellow flowers in Summer which have the fragrance of orange blossom.